The blending of two different bonded fuel oils was completed for the first time in the China (Zhejiang) Pilot Free Trade Zone (FTZ) on Aug 27, marking the beginning of the fuel oil blending business in the region. It is also the first time that the fuel oil blending has been carried out in China. 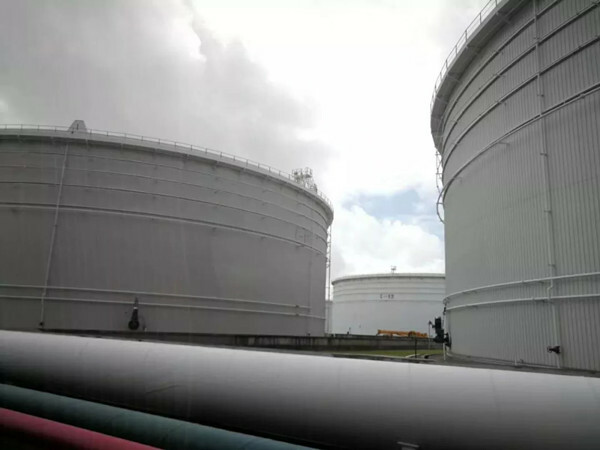 The two oils, weighing 45,000 tons in total, were imported from Malaysia and blended at the Sinochem Xingzhong Oil Staging (Zhoushan) Co in Zhejiang FTZ. Zhejiang FTZ gained the official approval from the Ministry of Commerce in July this year to conduct the blending of bonded fuels, before which bunker fuel suppliers in China could only import blended fuels from Singapore and other countries. With the business landing in Zhejiang FTZ, cheaper blended fuels will be available to domestic suppliers, as production costs will be largely reduced. According to a preliminary test, the blended fuel produced saved costs by 1.5 dollars per ton. It is expected that more feed oils from overseas refineries will be directly transported to Zhejiang FTZ for oil blending, which will meet the domestic demands for blended fuels and facilitate exports to other countries, and help build Zhejiang FTZ into the hub of bonded fuel oil blending in China.